Last week, Kate was spotted out and about shopping at some of her favorite stores for baby shoes. 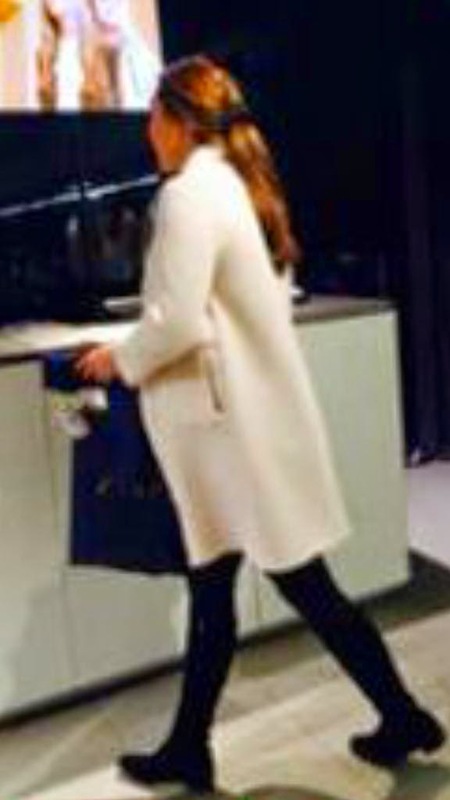 A few days later on Saturday, March 21, the Duchess picked up another pair of shoes. This time at a Zara store in Kensington for the new little prince or princess. 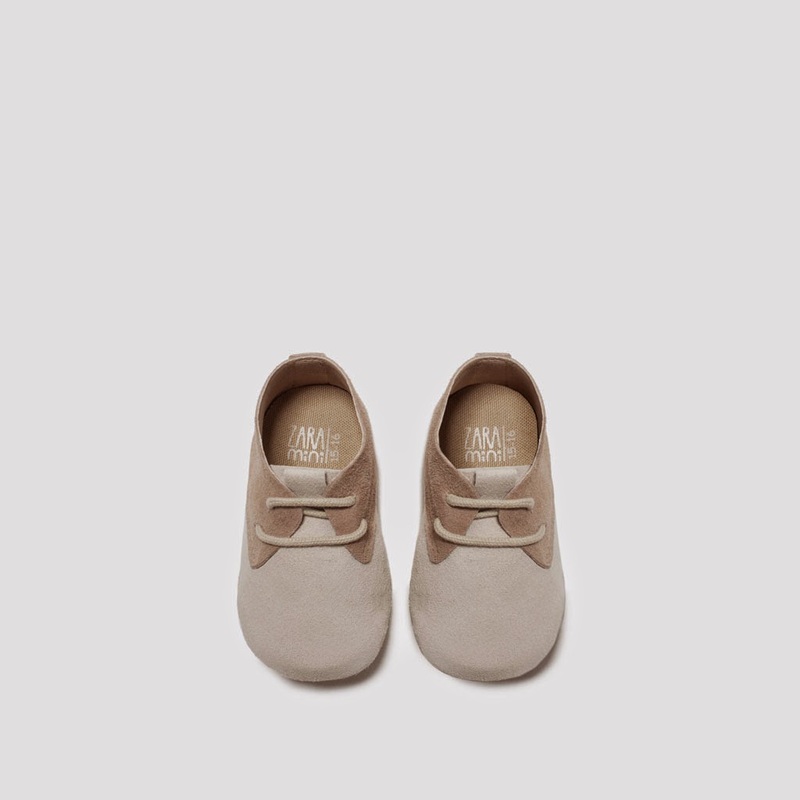 She chose a pair of white leather and beige suede baby booties that are part of the Spanish-owned stores “mini” collection suitable for newborns. The brand’s Leather Blucher shoes are available in sizes from newborn to 9 months and retail for $35.90. 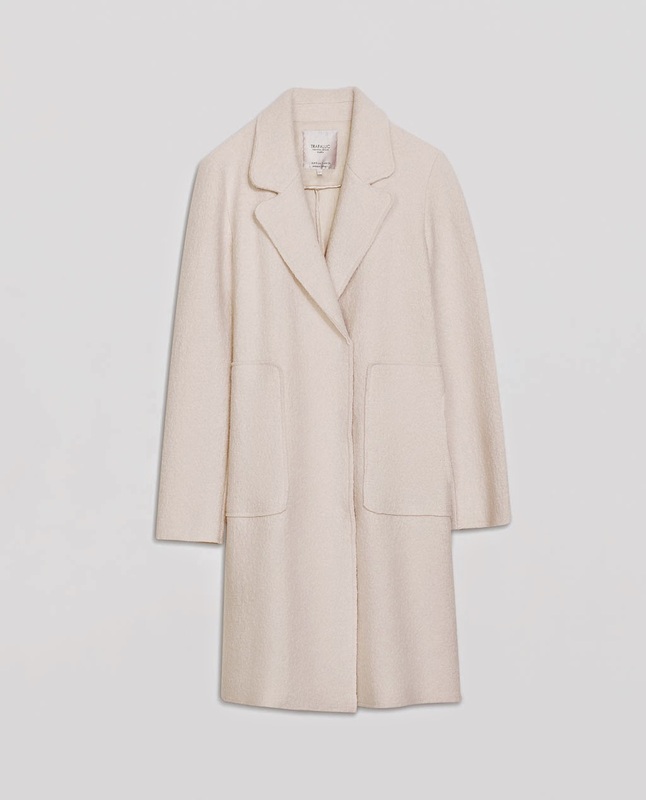 The Duchess wore her dusty-pink ‘Straight-cut’ coat by Zara (originally $149, went on sale for $99.99 and currently sold out), a pair of thick black tights, and her trusty black, suede Russell and Bromley Charge It knee-high boots. 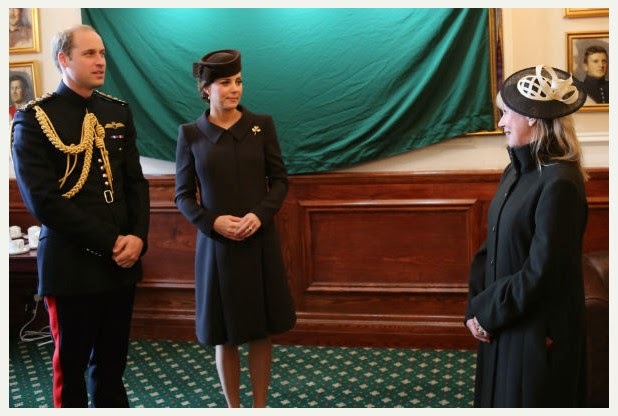 You may recall that the Duke and Duchess of Cambridge were guests of honor at this year’s 1st Battalion Irish Guards’ St Patrick’s Day Parade, however it has also come to my attention that they participated in an unveiling of a painting that was painted by local Cotswold artist, Lindy Allfrey. 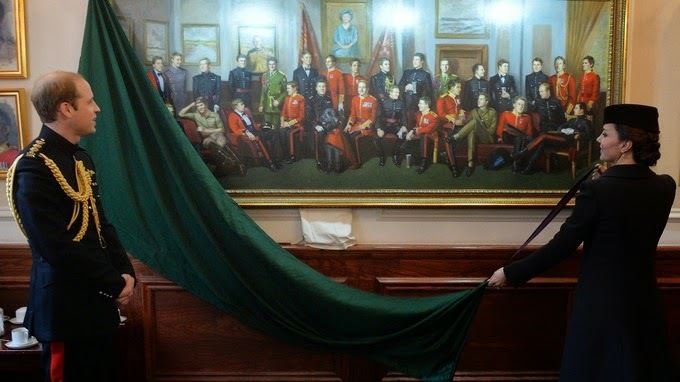 The picture, which now hangs in the Irish Guards Officers’ Mess in Aldershot, shows 30 officers in their splendid dress uniforms. It was commissioned by the Irish Guards. 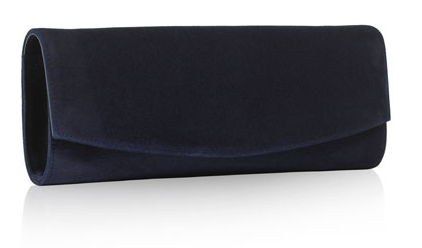 For those of us (myself included) who don’t live anywhere near a Russell and Bromely or a Stuart Weitzman retail store, I am excited to share that Kate’s suede, navy clutch is available online. 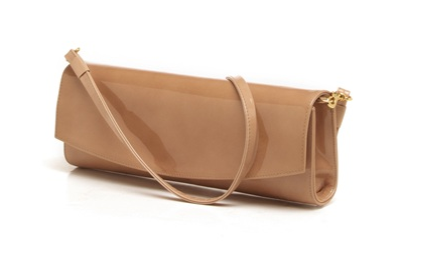 In the UK, it’s known as the ‘Muse’ suede clutch and retails for £255. From what I can see, it is only available in navy suede. In the USA, it’s known as the Raz clutch and retails for $455. 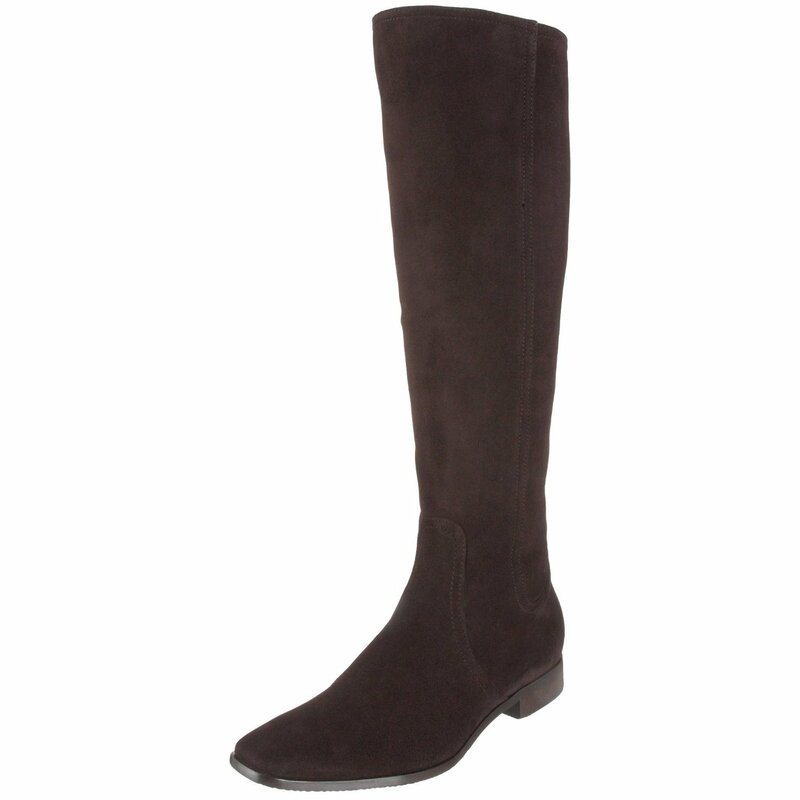 It is available in two colors, the Adobe Aniline (patent leather) and Nice Blue Suede. 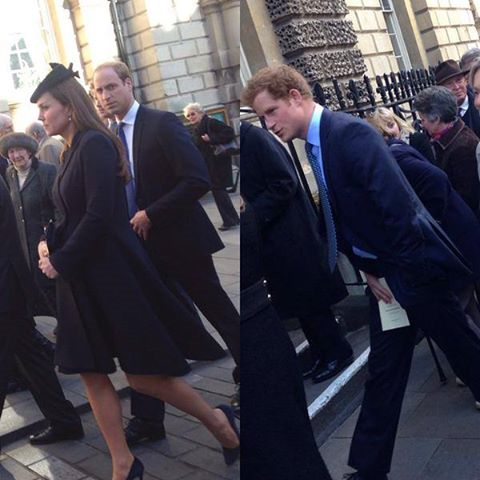 On Thursday (March 26), William, Kate and Harry attended the memorial service for Richard Meade. It was held at 2:30 to celebrate his life﻿. 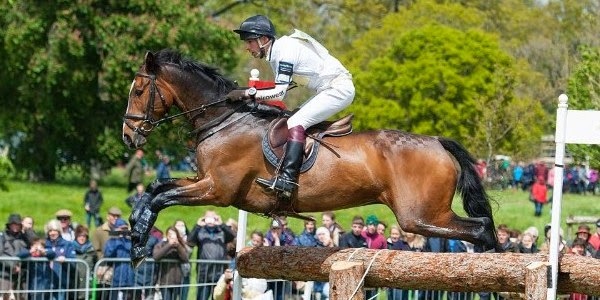 He was considered to be one of Britain’s most successful equestrians and won a wealth of medals including team gold at the Mexico Olympics in 1968 (riding Cornishman) and, four years later, both individual and team gold at the Munich Olympics (Laurieston). 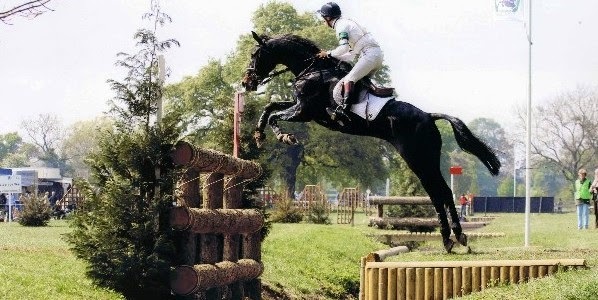 Sadly, he passed away after a lengthy battle with cancer. 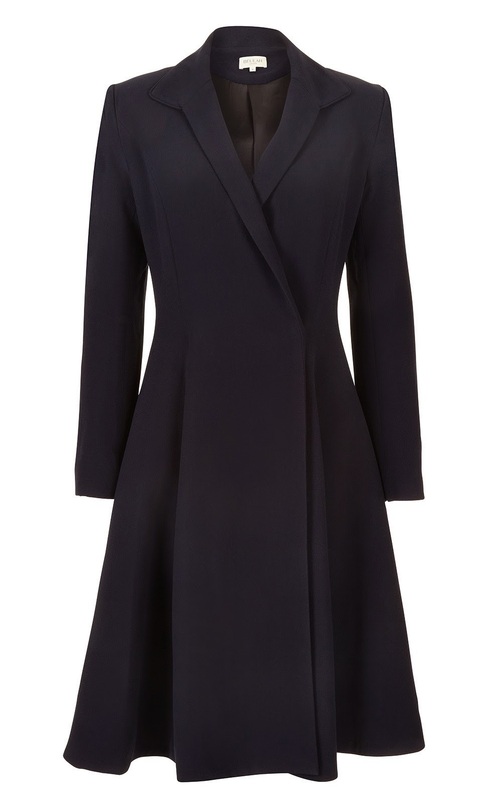 The Duchess wore her fluted, navy, 100% wool trapeze ‘Chiara’ overcoat by Beulah London (£650). Her hat is currently UFO. I will update if/when I find out. 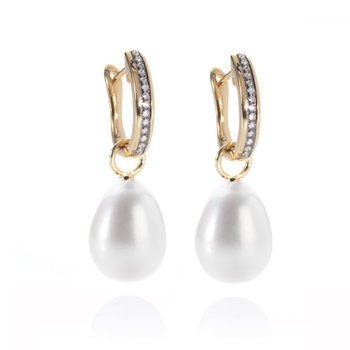 Completing her outfit, Kate wore her Alexander McQueen pumps and her and her gold Annoushka diamond and pearl drop earrings. There may be a possible ID on Kate’s hat. It could be the ‘Radio City’ by Lock & Co (Autumn/Winter collection). My guess is that it’s either navy or black. I will contact the designer and update if/when I hear from them.